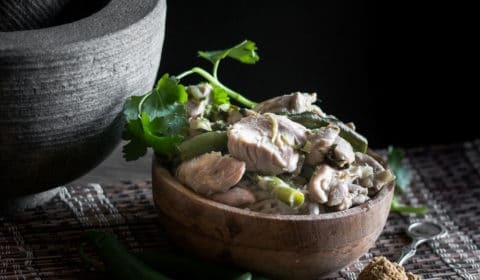 If you ever want to try something different or cook something that will get people super curious. Roast quail is a great way to go. It was very nice to cook a meat other than the usual chicken, lamb, beef and pork. 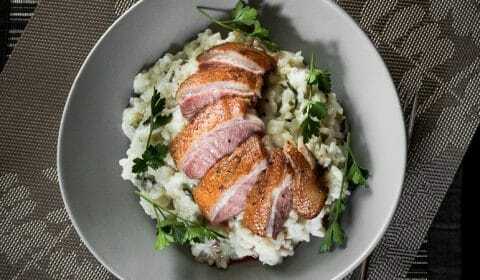 I have tried cooking and eating a fair few different game birds now. I find it quite fascinating just how different each one of them tastes and how they have their own uniqueness. So I really hope this post opens up your minds to something new other than chicken and turkey when it comes to game. These quails had such a beautiful rich gamy flavour and they don’t take long to cook which is another plus. The polenta is also a first for Blogtastic Food which I think goes really well with the quail. It reminds me of mash potato in texture, but it isn’t quite as heavy, and it tastes completely different. I was thinking of adding grilled artichokes to this recipe but I feel like it would have overcomplicated the dish, so I kept it simple and served it with some dressed baby rocket. 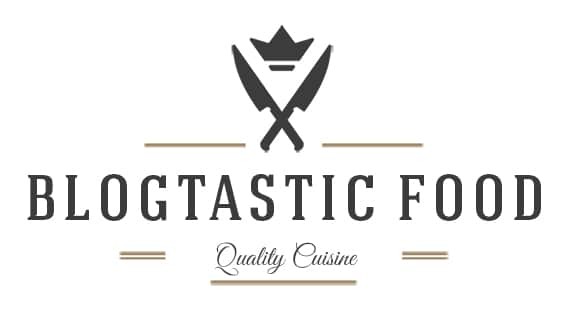 I really hope you guys like this roast quail recipe and if you want to stay updated on the latest posts, feel free to subscribe to the blog and/or follow my social media. 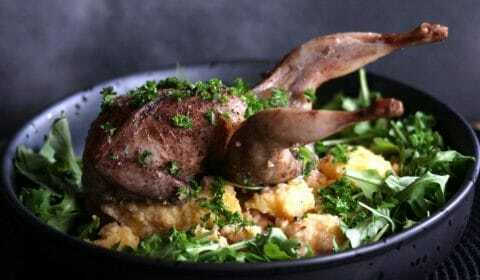 Creamy polenta with perfectly, juicy roasted quail. It's nice to have a different game bird every once in a while. Pre-heat your oven to 200 degrees Celsius. Get your 1.2lt stock boiling in a pot, turn the heat down low and then add your polenta. Stir through until you get a mash potato consistency. Keep on a low heat stirring occasionally for 40 minutes. Add a splash of water if you feel like the mixture is getting a bit dry. Meanwhile, rub and coat the quails with the salt, pepper and the Chinese five spice. Get a heat proof frying pan on medium to high heat. Put a glug of olive oil in the pan and then add the quails breast side down to start browning. After 2-3 minutes turn the quails over, then put in the oven and roast for 15 minutes. Once the quails are done, transfer them to a plate and then place a tea towel over the handle of the frying pan to remind you that it is still hot (do not clean the pan). When the polenta is done, turn the heat off, then add a splash more water or milk, add your butter, nutmeg, salt, pepper and grated parmesan. Stir through and set aside. Put the frying pan you used to roast your quail on medium heat. Add your onions and garlic and fry for about 5-10 minutes. Add your cornflour, stir through and then add your red wine. Use your spoon/spatula to scrape up all the brown parts at the bottom of the pan. Add your chicken stock and simmer for about 10 minutes. Turn the heat off, season with salt and pepper, then add your cold cubed butter and stir through. Strain the sauce and set aside. 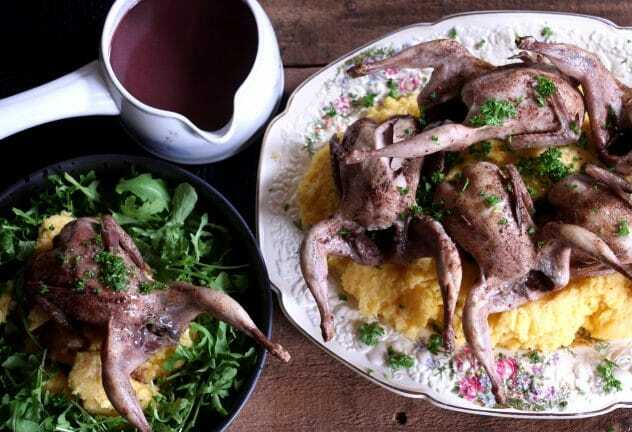 Heat up your polenta on the stove and your quail in the oven if need be. 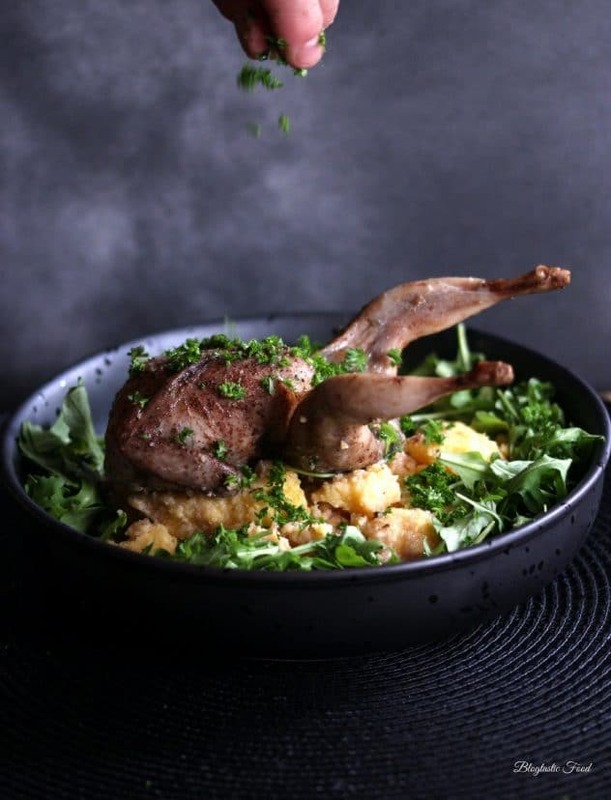 Quickly dress your rocket with olive oil, lemon juice and a pinch of salt, then serve with your quail, polenta and red wine gravy. Don't be shy on the parmesan and seasoning when adding it to the polenta. I love those little birds. One per person so you feel like a king or queen. 🙂 Polenta is tasty. I really want to make some especially as the weather gets cooler and appetites increase. This looks amazing! I am going to have to find somewhere that carries quail that isn’t a 100 mile drive! WoW! These looks delicious!! My grandma used to cook them and I like their eggs – so tiny! Not much meat but very delicious! ….and thank you for following my blog! Thank you so much again! keep up the fantastic work.